A 100% organic coconut oil soap with Tamanu Oil™ and designed to deep cleanse your face. Hand-Made, Fair-Trade ! Healthy, blemish-free skin always begins with a good quality soap. Designed for deep cleansing of the face without the use of any harsh chemicals! 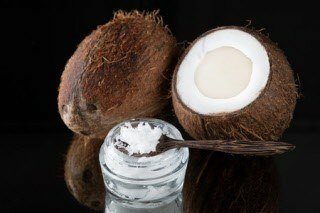 High quality Coconut Oil is ideal for the skin, as well as for the hair. It is an effective moisturizer for all skin types, especially dry and flaky skin. Most coconut soaps on the market today contains chemical additives and solvents used in the refining process which destroy the necessary antioxidants found in pure 100% virgin coconut oil. Antique soap made from olive oil with the addition of pure Tamanu Oil™, coconut oil. The process: Olive oil is heated and mixed with dissolved ash until the oil is completely dissolved. After purification takes place there is an addition of the unique ingredient Tamanu Oil™, coconut oil. Natural Handmade Soap in the form of Coconut Oil Soaps , as well as Coconut Oil body scrubs made from Virgin Coconut Oil. Volcanic Earth’s Natural Soaps are made to this age old recipe, however animal fat has been replaced with our beautiful virgin coconut Oil, Nagai Oil, the skin healing Tamanu Oil and olive oil. Soap making (referred to as "saponification) takes place when caustic soda, which has been dissolved in water, acts upon fats in the oil. Because of the combinations of our high quality virgin coconut oil, the resultant soaps are packed full of glycerine (with normal soaps the glycerine is taken out to make Glycerine). This high level of glycerine renders our soaps softer, lathery, creamier, gentler and super moisturizing for the skin. Coconut Soap and coconut oil exfoliating Body Scrubs are all made using our beautiful pure coconut oil and real volcanic Ash. We are more than specialized in high quality products for the professional spa and wellness industry. We develop unique products which have been proven effective for the skin.